Thank you for visiting our new web presence. 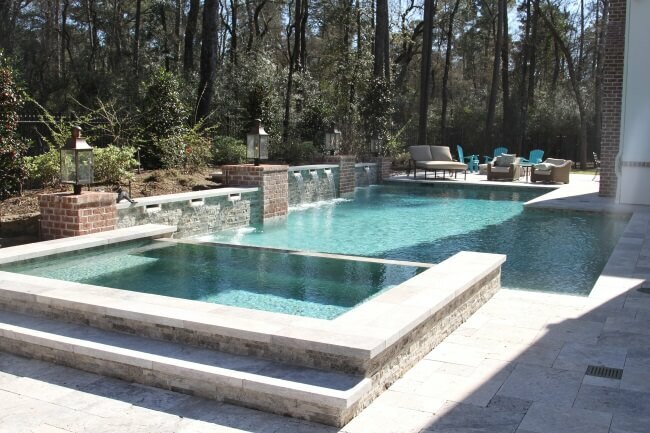 Hipp Pools, Inc. is based in The Woodlands, and proudly serves Houston, Spring and the surrounding areas, and we would love the opportunity to earn your business. Hipp Pools has been providing custom pool and spa design and construction, reliable service and maintenance, as well as exceptional customer service since 2003. We invite you to hear from previous customers about their experience with us when you read through customer testimonials. Please feel free to browse through our new website to learn more about everything we offer, including custom pool and spa design, outdoor living design, and service and maintenance. From the initial design stages to long after construction is complete, Hipp Pools is dedicated to creating and caring for your backyard oasis, and we look forward to you becoming a part of the family. Take a few minutes to browse through our galleries so you can see firsthand just a small sampling of our custom projects. Take note of the intricate designs, extra features and much more while you get some inspiration for your upcoming project.